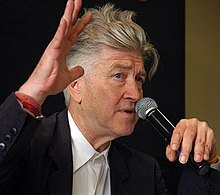 Next, Lynch created his own television series with Mark Frost, the popular murder mystery Twin Peaks (1990–1991). 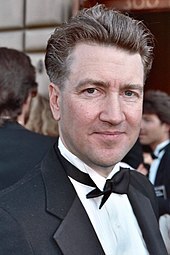 He also created a cinematic prequel, Twin Peaks: Fire Walk with Me (1992), a road film Wild at Heart (1990) and a family film The Straight Story (1999) in the same period. 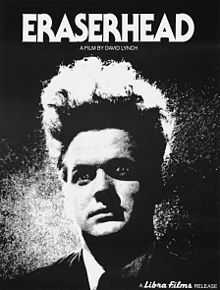 Turning further towards surrealist filmmaking, three of his subsequent films operated on dream logic non-linear narrative structures: Lost Highway (1997), Mulholland Drive (2001), and Inland Empire (2006). 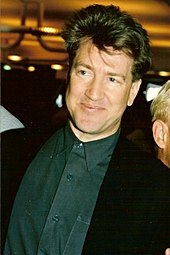 Meanwhile, Lynch embraced the Internet as a medium, producing several web-based shows, such as the animated DumbLand (2002) and the surreal sitcom Rabbits (2002). Lynch and Frost reunited for the Showtime limited series Twin Peaks: The Return (2017), with Lynch co-writing and directing every episode. 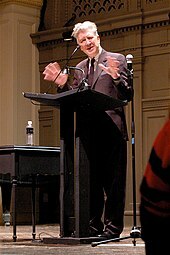 At Francis C. Hammond High School in Alexandria, Lynch did poorly academically, having little interest in school work, but was popular with other students, and after leaving decided that he wanted to study painting at college, beginning his studies at the School of the Museum of Fine Arts, Boston in 1964, where he was a roommate of Peter Wolf. 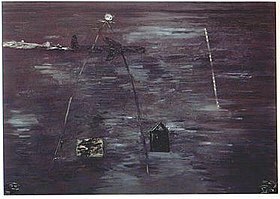 Nonetheless, he left the School of the Museum of Fine Arts after only a year, stating that "I was not inspired AT ALL in that place", and instead deciding that he wanted to travel around Europe for three years with his friend Jack Fisk, who was similarly unhappy with his studies at Cooper Union. They had some hopes that in Europe they could train with the expressionist painter Oskar Kokoschka at his school. Upon reaching Salzburg, however, they found that he was not available and, disillusioned, returned to the United States after spending only 15 days of their planned three years in Europe.